James Burns and Genevra Banszky von Ambroz, Partners for the Smith & Williamson Defensive Growth Fund, join Jenny Ellice to discuss the attractions of multi-asset, their expertise in the investment companies universe, and what demand there has been for the strategy. PRESENTER: Joining me now is Genevra Banszky von Ambroz and James Burns from Smith & Williamson. So, James, I’m going to start with you and the Smith & Williamson Defensive Growth Fund. Now this is a multi-asset fund. So why is this different from others and what makes it attractive? JAMES BURNS: It’s the portfolio is essentially split into two separate parts. The first is the core of the portfolio, which will always be, at least 50% of it, is in defined return vehicles. And by that we’re looking at conventional zero different preference shares and synthetic zero different preference shares. The difference between the two of these is that the conventionals are managed with an underlying pool of assets by a manager, actively, and the synthetics are based on an index and are passive. But they will always form the core of the portfolio. The second part will be investment companies which we look at, and they will be a mixture of asset classes which we think can give us steady returns. We will also look at perhaps more discount opportunities where we think over a two/three year view there’ll be a catalyst for discount to narrow, and we’ll get the returns we’re looking for for the portfolio. PRESENTER: So, Genevra, other than zero discount preference shares, what other asset classes do you invest in? GENEVRA BANSZKY VON AMBROZ: Well, so, as James mentioned, we focus on investment companies that invest in, or are able to offer more predictable return characteristics. So they tend to be alternative asset classes where the performance or returns is much less correlated with wider equity markets. The sorts of things that we own in the portfolio at the moment are real estate and infrastructure credit funds. 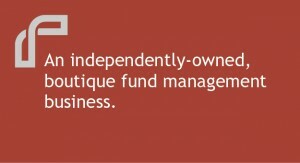 We own student property and healthcare property funds, and other things that we own are a couple of listed hedge funds. So we’ve got bits and pieces within the portfolio which hopefully will all do slightly different things, but are also relatively predictable. And, in terms of equity risk, they’re slightly lower from that perspective too. PRESENTER: So, James, how have you delivered consistency and low volatility over time? JAMES BURNS: I think the difference for this fund and the approach we take is that whenever we discuss any opportunity for the portfolio, the first point is what’s the downside protection in it; whether it’s participation in the markets, protection in terms of the ZDPs, or in terms of the investment companies we’re looking at at discount or whatever. So it’s not about making money on the upside as much, it’s more about protecting on the downside for us. The great thing about the ZDPs, conventionals and the synthetics is that we don’t necessarily need the markets to up to actually make the returns that these things are meant to offer us. And in most cases we can actually have quite considerable downside before our returns are actually impacted. So if we get bounces in the markets, we really aren’t going to participate in the same way that the markets are moving around. And the investment companies in the portfolio that Genevra mentioned, the bulk of these are giving us quite high income yields, and therefore their prices are actually fairly stable regardless of what’s going on in the broader market. So again that adds that extra level of low volatility to the portfolio, at the same time giving us nice returns. But overall the great thing about running this portfolio is that we’re not looking to make huge double digit gains every year; it’s all about making steady positive gains throughout the time. So we don’t have to own anything particular, it’s a completely benchmark unaware approach we take, and so we only own things in the portfolio that we want to own. PRESENTER: Now many advisers do find the investment companies’ universe quite unfamiliar, so what’s your expertise in this area? JAMES BURNS: I’ve been looking at the investment companies’ space for 18 years now. Genevra joined me nine years ago from our graduate training programme. And together we head up the recommended list for the whole of Smith & Williamson. We’ve got roughly £20 billion of assets under management, which over £3 billion of that is in investment companies, so it’s an important part of what we do. And Genevra and I are looking at the sector every day, and it’s a great place to find opportunities which can arise if you’re looking at the sector pretty carefully. And I think an example of that which we can look at is a holding in the portfolio called Medex, which is essentially a landlord for GP surgeries in the UK and Ireland. We bought into that in June last year. They’d cut their dividend, and the price had been quite badly hit. It had gone to a small discount to asset value, but we felt that the overall asset class made sense to us. And the opportunity was to buy an asset which had been hit, we felt possibly unfairly. The dividend we were getting was quite attractive and it’s fully covered now. And we bought into that quite heavily in the portfolio. And yesterday they actually announced a merger with a slightly bigger peer, which saw the price rise by over 12% yesterday, and it’s a great story for us ongoing. PRESENTER: And, Genevra, can you give me some examples of some recent purchases and sales? GENEVRA BANSZKY VON AMBROZ: So we’re not, in terms of trading within the portfolio, we don’t tend to do a huge amount. As James said we tend to just focus on owning companies and investments that we really like, and then I guess taking profit where those things have potentially run ahead of our expectations, and looking at adding where they’ve underperformed and we believe that there’s more to go. So recently I think the biggest trade we’ve done in the portfolio is that just before Christmas we bought a brand new synthetic ZDP with CIBC. So this is linked to the FTSE 100, and we have downside protection on that down to about 4,400 on the FTSE 100. And it gave us a growth redemption yield of about 6.3%, which we thought was pretty attractive for seven years. In addition obviously the fourth quarter saw very volatile equity markets, which meant that we could add to a couple of our other existing positions in synthetic ZDPs where prices had come off, and the returns looked more attractive. And we’ve also added to a couple of our existing investment companies. So Real Estate Credit Investments is a very long-term holding within the portfolio. We’re adding to that at attractive levels. That offers a yield of over 7%. Also BH Global, which is a long-term holding, and we’ve been adding to that as well. The only sales within the portfolio really has been we’ve been reducing BVGI a little bit, because to be honest we bought it around asset value in the spring, which we thought was fantastically good value. Since then it’s rerated, so it trades on a double digit premium now. So we’ve just been taking a little bit off the top as and when we see opportunities. We still really like the asset, but obviously we’ve done quite well from it, and we want to make sure that we’re not taking extra risk when we don’t need to in the portfolio. PRESENTER: Well finally the fund is relatively small, so what’s demand been like for the strategy? GENEVRA BANSZKY VON AMBROZ: I have to say over the last couple of years we’ve seen a big pickup, but it did used to be quite small. And as I think the, so we now have a pretty strong track record of delivering positive returns in most market conditions, and with lower volatility, I think the external market is now starting to recognise that I guess that’s worth something, and they might be more interested in it. And as it has grown obviously the scale has helped other people consider it as an investment for clients. PRESENTER: Genevra, James, thank you. GENEVRA BANSZKY VON AMBROZ: Thanks.